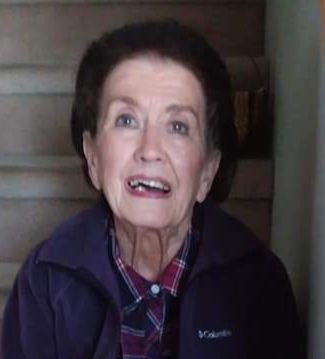 Roxanne “Roxie” Fortin, 80, passed away February 4, 2019 at her home surrounded by her loving family. to Des Moines after the death of her mother and second husband. Roxanne was a caregiver all her life and truly enjoyed helping people. She was a longtime active member of Christ the King Catholic Church and the Altar Rosary Society. Roxanne was also a member of St. Vincent de Paul Society. She loved playing bingo. Carol Weyer of Des Moines, Candy (Scott) Parker of Altoona and half-sister, Janice (Jamie) Brock of Dubuque; as well as a host of extended family and dear friends. She was preceded in death by her parents; first husband, Vasco B. Schooley; second husband, Michael Fortin; and her brother-in-law, Lucky Weyer. Visitation will be held at 10 a.m., Rosary at 10:45 a.m. followed by Memorial Service Friday, February 8, 2019 at Christ the King Catholic Church, 5711 SW 9th Street. A private burial will be held at a later date. Memorial contributions may be directed to Mercy Hospice, or St. Vincent de Paul Society in loving memory of Roxanne.